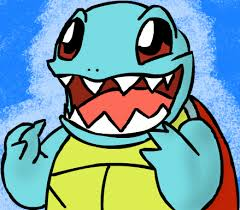 In case you didn't know, there is a new roleplaying Squirtle Squad I am starting up again called Squirtle Squad Elite sometime after June 18. If anyone is interested, they can go sign up at http://pokeballzcenter.webstarts.com and follow the instructions. But, what this topics is about, is an idea of mine concerning it. Recently I decided to make a new feature in the Squirtle Squad where after every mission, I would go in the "HQ" (of the roleplay) and say I am working on a report, when in reality I actually am. When I say that, I will be going to the website and filling out a report of the mission, sort of like a mission result, debriefing, turnout, or whatever you wanna call it. Each of them will contain the members who attended, what happen, the result of the mission, who reached a new level, who founded new items, and so on! So, my idea was that once the Squirtle Squad Elite is officially closed down, I would compile all of these reports into one large story about the Squirtle Squad Elite's adventures. I would like to hear your opinions on this. good idea. ok anyway im gonna post in the gb. 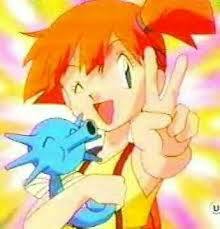 Sorry to bump a very old and dead thread again, but is the Squirtle Squad still "happening?" Unfortunately, no. It sort of died off with the lack of a schedule and people meeting up on the chat. We only managed to get in three role play sessions a while back, though they were like two hour sessions. Hey. I have a story on my old site. Do you want me to make it? Subject: Re: Squirtle Squad Elite Story - Coming Soon (maybe)!